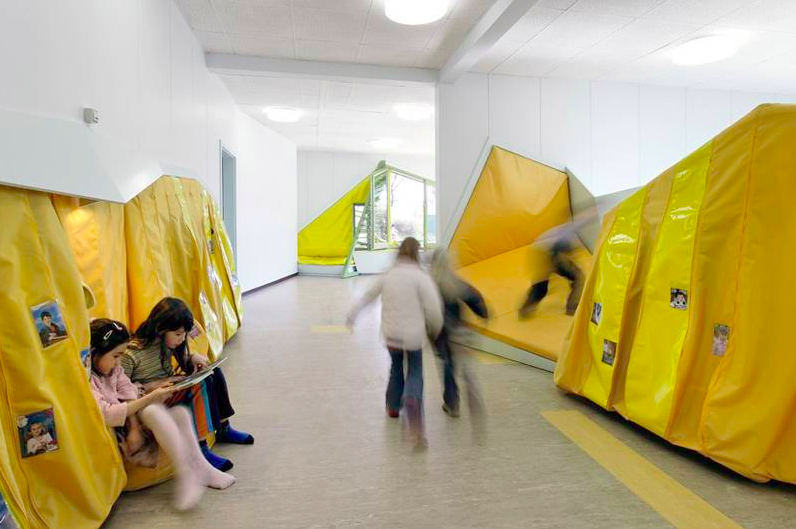 New learning theories make their way into designing school interior and architecture. Howard Gardner and Rita Dunn has already changed the school of tomorrow, today. Malou Juelskjaer, phd. at Aarhus University, Denmark, believes that learning landscapes tend to empathize the students learning styles, and the results are astonishing beautiful constructions. But the evaluation difficulties worries her, because schools around the globe invests a lot of money in this right now. Rita Dunn, professor at St. John’s University, changed the way schools look, physically. Her theory aboutthe different learning styles, and is one of the main reasons school boards and private companies all over the word, funds fancy furnitures, colorful open spaces and modern designed playgrounds and classrooms for schools. It has become established especially in the US, South East Asia and Northern Europe. Dunn points out, that there is a number of factors that assists the learner, but it varies depending on what type of learner you are. 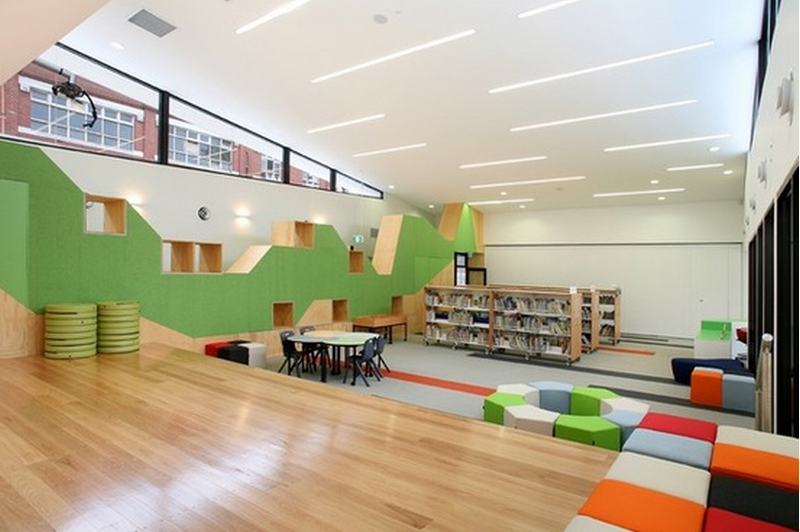 Light, movement, temperature, time of day, noise, tactile and many more are to be considered, when designing a school. In a micro perspective, the two theories together (“Multiple intelligences” and “learning styles”) says, that if a kid is having concentration problems, give him a bean bag to sit on, or maybe a set of headphones, depending on what learning style suits the kid best. In macro perspective, if a kid have trouble learning the letters, turn the alphabet into a game that involves movement and fun. Or if a kid is more susceptible to a living learning environment, create an open space with nice study nooks or collaboration tables. 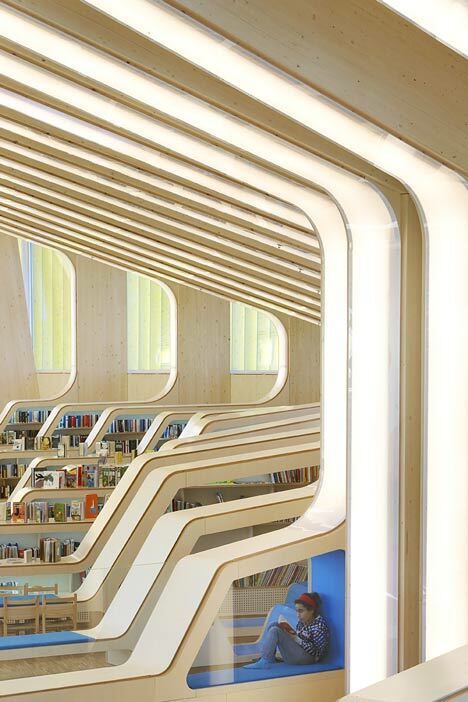 Hellerup School, a part of the SKUB (School Expansion) project at Gentofte Kommune in Denmark, is famous for its interior as well as architectural design. 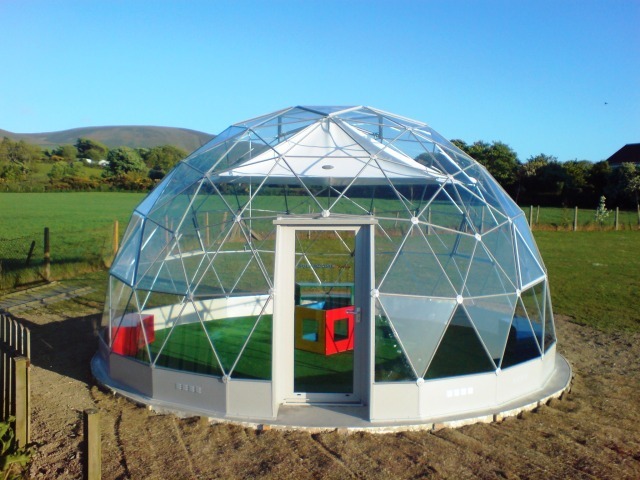 With absolutely NO WALLS, it’s a new way to think school. The teachers “room” is on the upper floor but of course: without walls. There is a playground on the roof of the building. In the middle of the school there’s a great hall. You might think that this would create too much noise, and maybe that’s right in a traditional way of school thinking. But Hellerup School wants the school to be as an open office environment. Students don’t have a classroom but an area and different stations to work at. The keywords are flexibility,creativity and learning styles. 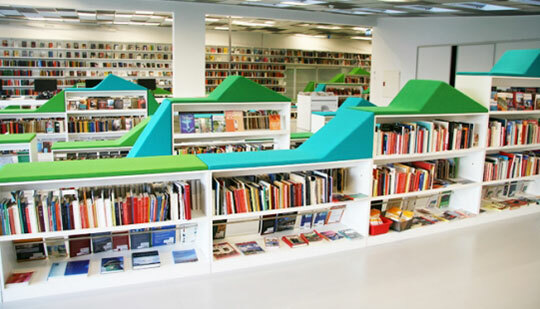 Another school, famous for it’s modern interior is the Telefonplan Vittra School outside Stockholm in Sweden. This school has no classes or classrooms. 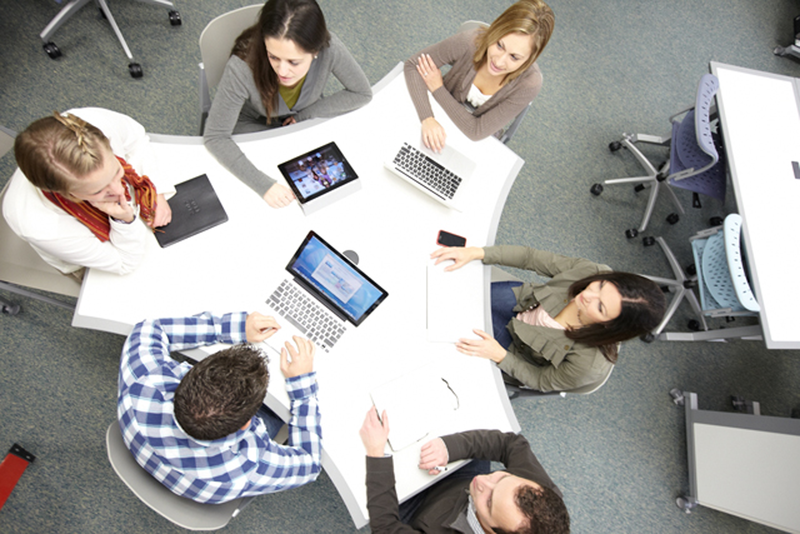 Students are divided into groups according to level and didactic learning styles. 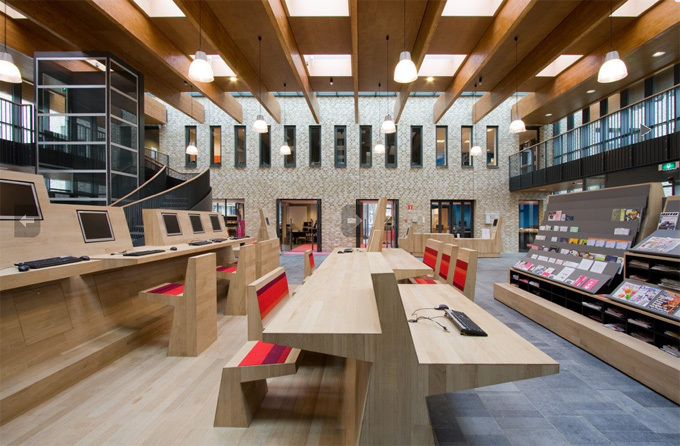 The remarkable furnitures are designed exclusively for the school by the design duo Rosan Bosch. But what exactly is the link between new fancy furnitures, futuristic architecture and learning? The role of the teacher is no longer an authority figure, who is in control of the students, and can see if they pay attention to the schoolwork. If the teacher wants that same kind of control today, he must move around in the learning landscapes and find all the students, which is not realistic. Instead we must rethink the cliché: “one teacher, one class, one room”. The teacher is no longer the one and only gatekeeper of truth and information but a facilitator who shows the students how to find the information and how to produce the truth. But what about the learning landscapes? Malou Juelskjaer likes to think of them as places students can go to depending on what learning style-mood they are in. Nooks, caves, sitting stairs, quiet areas, couches, bean bags, and so on, all represents different learning styles. There are examples of teachers, who embrace the possibilities of the new school. They don’t have to force unmotivated students to sit on a bench in a classroom. But others experience anxiety of losing control. Therefore it’s not only the school that changes, it’s the teachers and the students as well. But Malou Juelskjaer sees a problem in the lack of evaluation possibilities. We cannot ensure exactly what works, and what doesn’t. Therefore we must think twice before we invest millions on school interior. Who wouldn’t want a school like that?! If you disagree (or agree) in anything i’ve written, please feel free to comment on this post. Awesome things here. I am very glad to see your article. Thank you a lot and I am looking forward to contact you. When some one searches for his required thing, therefore he/she needs to be afailable that iin detail, thus that thing is maintained over here.